Visitors at Disney World and Disneyland like to do a number of life events at the theme parks. Some spend their birthdays there, while some propose marriage and spend anniversaries there. Those all seem like pretty normal things to do at both parks, but some visitors are taking it to the next level by scattering the ashes of their loved ones all over different areas of the parks. It happens so frequently that Disneyland and Disney World cast members have a secret code word for cleanups, which can frequently be heard while waiting in line for the Haunted Mansion. If you're ever at Disneyland in Anaheim, or Disney World in Orlando and you here a cast member say, "HEPA cleanup," it means that they're on their way to go vacuum up someone's ashes. Cremated remains have been found all over both parks, and cast members say that it happens at least once a month. Finding and identifying the ashes is one of the park's biggest secrets. The workers have to bring out a giant vacuum and suction them up, which probably isn't what most people had in mind when they did the scattering. There are places in Disneyland and Disney World that people are able to scatter the ashes of their loved ones without being noticed, mostly in flower beds or in the water of certain attractions. It's A Small World is one of the more popular places, but the obvious choice is the Haunted Mansion. This might explain why the ride is often shutdown, as workers stop to bring out the giant vacuum again. One cast member had this to say about the ashes in the famous mansion. 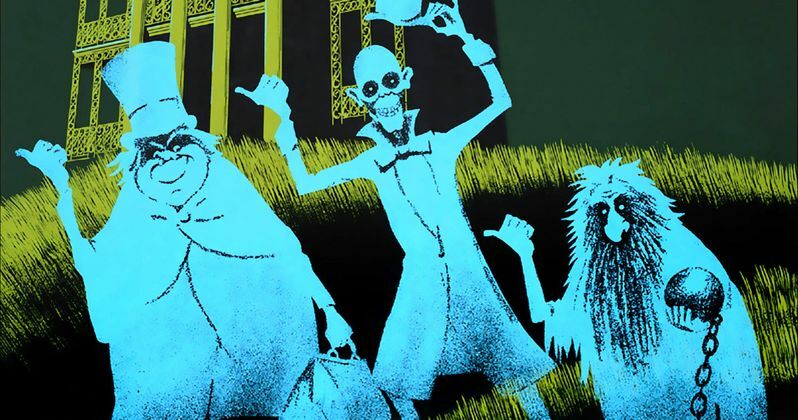 "The Haunted Mansion probably has so much human ashes in it that it's not even funny." Caryn Reker is a Disney World visitor who admits to spreading her late father's ashes at the famous theme park. Instead of one place, Reker decided to scatter her dad's ashes all over the park and thinks about him every time she passes a certain spot. She says, "It's a sweet way to giggle and remember-he's here. . . and there. . . and a little over there. . . yep, there, too," which, depending on your attitude, could be considered a bit morbid for the happiest place on Earth. In the end, the act of scattering ashes in Disneyland and Disney World is a misdemeanor that will more than likely get you kicked out of the park with a $10,000 fine if caught. With that being said, Sergeant Daron Wyatt, a spokesman for the Anaheim Police Department, says that he doesn't think that anybody has ever been reported to law enforcement for the act. It seems like scattering a loved one's ashes is relatively harmless, though some hard work for the cast members if they spot the ashes, but one can see why the parks would want to keep that secret well-hidden. Next time you ride the Haunted Mansion, just think of all of the human remains that have been scattered along the attraction for an extra spooky time. This news was first reported by The Wall Street Journal.